New York is quickly becoming one of my favourite cities and it's understandable why. This visit we stayed in SoHo, my favourite borough on Manhattan and also great for shopping. Zara, J.Crew and Zimmermann are my picks. Coffee at La Colombe and Ground Support became a ritual and by the end of the week the baristas remembered my order. Ground Support was also the scene for a run-in with Paul Wesley from The Vampire Diaries. So dreamy. Frozen hot chocolate from Serendipity 3 was another highlight and also the location for one of my most loved movies. And of course no visit to New York is complete without visiting the Top of the Rock. That view gets me. Every time. I loved NYC when I visited, Soho is great! The view from Top of the Rock is amazing, it took my breath away. I love NY I went there for a weekend trip and it was soo great, love soho as well! I want to go to NYC one day! New York looks fantastic! Awesome photos! Love these shots you took! It's always so interesting to see other people's views of the city I call home. I instantly recognised La Colombe's cups! 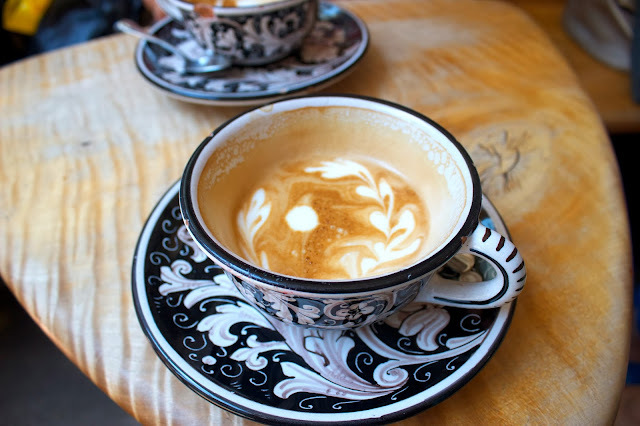 I spent so much time at La Colombe in Tribeca last time I was in NY: amazing coffee!